MONTRÉAL – Montreal Canadiens general manager Marc Bergevin announced Saturday a four-year contract extension for head coach Michel Therrien (2015-16 to 2018-19). 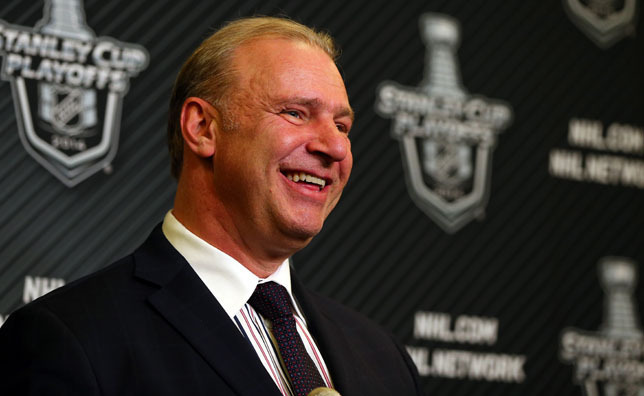 “We're very happy to have agreed to a contract extension with Michel Therrien for multiple seasons. Michel is an accomplished and experienced coach who has instilled a culture of hard work in our organization while helping develop our young players. Michel and his coaching staff work in a unique and demanding hockey market and the team's success over the last two seasons are a reflection of their excellent work. This decision reflects our desire for stability and consistency within our hockey operations department”, said Canadiens general manager Marc Bergevin. Now 50, Michel Therrien has coached close to 1,100 games in professional hockey (592 games in the NHL and 501 in the American Hockey League). Over the past two seasons as head coach of the Canadiens, Michel Therrien has led the team to an overall record of 75-42-13, recording 163 points in 130 regular season games for a winning percentage of .627. Under his leadership, the Canadiens posted a 100-point season in 2013-14, the team's highest point total since 2007-08. Therrien led Montreal to the Eastern Conference finals this postseason, losing in six games to the New York Rangers. In 320 career regular season games as the Canadiens head coach, he has a record of 152 wins, 119 losses and 49 ties or OTLs.